Weighing the benefits and costs of outsourcing digital marketing work to an agency as opposed to handling it by the company’s own marketing team. Marketing a product, service, or business has never been easier than it is today. With access to social media and mobile phones, anyone can just publish content instantly and reach thousands of people at a very low cost. BUT, at the same time, it has never been more difficult to execute an effective marketing campaign. It’s never been harder to get anyone to CARE. To break through the NOISE. Message; Is your message compelling enough? Storytelling; People love stories. Make your customer the hero of your story. Consistency; You built your business around product/service consistency. Are you constantly exposing your business online? Sales Funnel; Digital marketing is also about taking advantage of every opportunity to make a significant connection with your customers. Is your website landing page working hard for you? 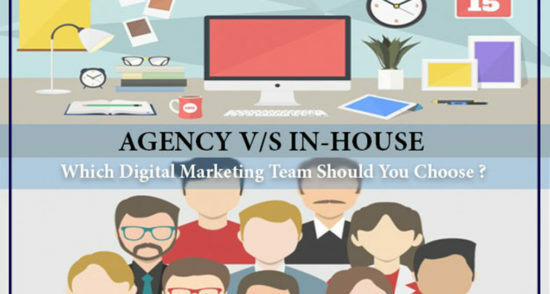 When it comes to finding out how a business should market its products and services or itself, one important decision business owners have to make is to choose between hiring an in-house marketing team or a digital marketing agency. In this article, we’ll be going over the three determining factors that you should consider to make the correct decision for your digital marketing exposure which leads to growing business. 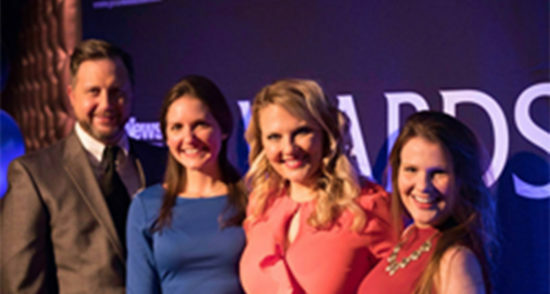 By the end of this article, you will have a clearer understanding as to what an in-house marketing team and a marketing agency can do for your business. And you’ll be able to see which of the two best fits your business goals. Any wise business owner would always take a look at businesses expenses and profits first before carrying out any business decision. Before we get into the numbers, let us first briefly talk about what you can get from a digital marketing agency and an in-house marketing team. If you decide to hire an in-house marketing team, you will get your own employee/employees. Small businesses generally hire one marketing manager. This employee will be responsible for the strategy and execution of all the marketing be it Facebook and Instagram ads, be it Google or YouTube ads, be it search engine optimization and copywriting. The problem with this is that platforms and digital advertising tactics are changing every single day. Can your digital one person marketing team keep up with the trend on all these platforms? One must also keep in mind that digital agencies spend years perfecting a system where execution is at the core of what they do. Most business owners, on the other hand, struggle to give clear instructions to their marketing team because that is not they lack the digital marketing knowledge. This can result in lost time, money and frustration. A digital marketing agency is basically a full team, where you have experts in every area of digital. We have to admit that it can sometimes be quite difficult for a business owner to find a digital marketing agency that can fully understand and share a company’s culture, products, and services. It is because of this factor that a lot of business owners consider hiring an in-house team. We, at Keen, spend a lot of time understanding the client’s products and services, the company culture and analyzing the market. That’s the only way we can help businesses tell their story in a compelling way. Continuity is very important for a business to keep progressing in the right direction. Right now in Malta, lack of skilled labor is one of the biggest challenges businesses are facing. The culture has changed a lot, and this has also been influenced by foreigners coming to work and live in Malta. Now, more than every employee turnover is at an all-time high. Employee turnover has a negative impact on a company and losing your experienced digital marketing specialist will have an impact on your company’s growth, sustainability and profits. This is something that every business owner must keep in mind. So which one should you choose? There isn’t really a simple answer to this, but you can get the best of both worlds. One smart decision you can make is to hire an in-house marketing expert that can coordinate with an outsourced digital marketing agency. Over the past 10 years we have worked with hundreds of customers and this is by far the most effective strategy for small to medium-sized firms.